+700 Bali rental villas – Find out why more and more book with Vilondo. We have handpicked more than 700 of Bali’s best villas and made it easy to find the one that is just perfect for you and your travel companions. A villa in Seminyak or Kerobokan grants you access to miles of sandy beaches, the most luxurious spas in Bali, high-end shopping, and superb dining. The region is home to some of Bali’s most exclusive villas. Almost all villas come with a private pool, and many of them include private drivers and cooks as well. This makes Seminyak a favourite among luxury travelers. Ubud, Bali’s cultural capital, is located in Bali’s central highland. If you think you would enjoy a luxurious villa that overlooks lush green river valleys and terraced rice-paddies, you should definitely have a look at our rental villas in Ubud. If you are looking for a classic beach based fun-in-the-sun holiday, our villas near the legendary Kuta and Legian beaches is a good place to start. Canggu is the home of Bali’s famous Echo Beach and numerous beachside villas with stunning ocean and sunset views. Inland, you feel the charm of rural Bali and the warmth of the Balinese people. Sanur is an all-time Bali favourite. The villas are ideal for families, and so is the beach which is one of the most child-friendly beaches in Bali. Stretching all the way along Jimbaran Bay, the beach is one of the main draws of Jimbaran. The sand is among the best in Bali and the calm waters make the beach perfect for swimming and one of the most children friendly on the island. Customer satisfaction is our number one priority – we don’t just say that. We know that the only way to continue to be successful is by having happy customers. We absolutely love when we get e-mails from our customers letting us know that they had the holiday of their dreams in Bali. Don’t take our word for it. This is what some of our fantastic customers say. We love Bali as much as you do – or will once you have visited for your first time. Everybody at Vilondo lives or has lived in Bali. We know our way around the island, the Balinese culture, and the Balinese people. If you have questions about destinations in Bali, sights and activities, restaurants, visas, and pretty much everything related to Bali we’d love help you. Get a quick overview of the most popular destinations in Bali or read our comprehensive guides to places like Ubud and the Gili Islands. Here we share our very best Bali travel tips with you. We cover everything from dos and don’ts when visiting Bali to the best clubs and restaurants in Seminyak. 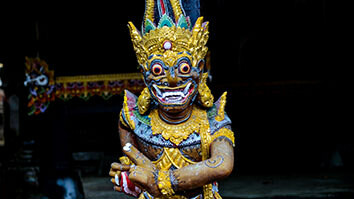 Read our Bali travel blog. 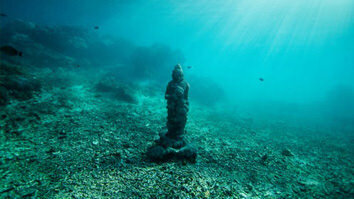 Find the most amazing fun activities to do in Bali. Get information on awesome things to do like scuba diving, safaris, shopping, adventure sports and many more. Read our Bali travel guide. If you book any villa for 4 nights or more, one of our drivers will collect you from the airport and drive you to your villa without any additional cost. That gives you a stress free start to your holiday. Of course, we will also return you to the airport when your holiday comes to an end. We also have a complimentary concierge service to help arrange any extras you require for the stay, pre-stocking the fridge, baby equipment, special occasions or arranging restaurant reservations or even organising day trips. We are here to help. When booking with Vilondo you are not charged any booking fees and there are no hidden costs. We are here to help you find the best villa for your trip. You’ll be assured that everything will run smoothly for your holiday when booking with our team.